UCI Emeriti Association has raised $ 2,350 from 10 gifts! When everybody gives, we all gain! Representation on the campus-wide Academic Planning Group (APG), the Academic Senate Council on Faculty Welfare advocating on numerous significant issues to our emeriti community. Working to address the issue of increased campus engagement with emeriti/ae enhancing linkages with their departments, schools and campus community, which is part of the UCI Strategic Plan. Advocating for all UCI emeriti/retirees both at UCI campus and on UC system-wide committees regarding the health insurance and other meaningful continuing UC retirement benefits. 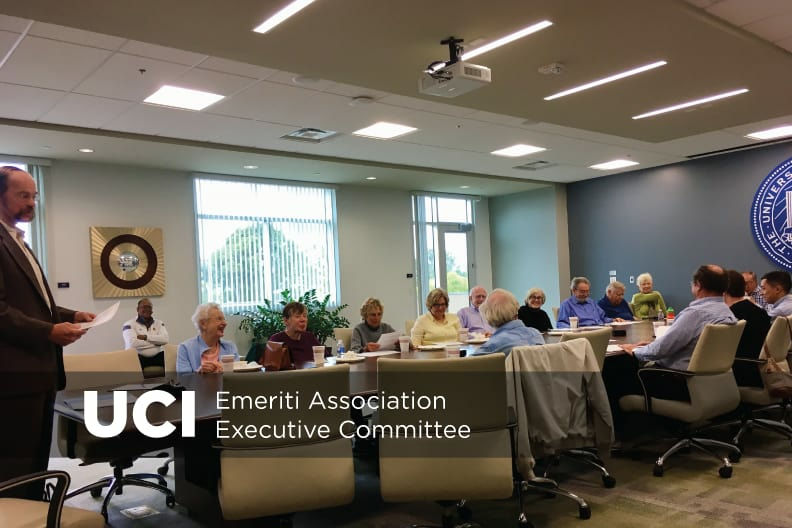 Collaborating with the UCI Center for Emeriti & Retirees (CER) to provide outreach to the community in hosting a quarterly Community Lecture Series featuring leading research and key topics. Your donations will enhance our ability to advocate for our emeriti/ae and retirees as well as provide quality programming in future.